As we look ahead to the New Year and the new us, it’s time for a reffection on what brought us to this point. No, not the double sherry or the fifth piled plate that marks the final nail in our get-in-better-shape resolution. No, we’re talking about evolution, an unimaginably long process that has shaped the first single cell to the plucked and roasted dinosaur descendent sat in the middle of the table. As a concept, it’s quite a lot to take in – but that’s where Evolution finds its comfortable position. It might not cover the full history of the emergence of life on Earth, but it does take a few key concepts and create an intense strategy experience around them. Christmas is a time of giving, a time when we stressfully hunt through the concrete or digital jungles for some thoughtful gift that will make our loved ones see just how much we appreciate them. 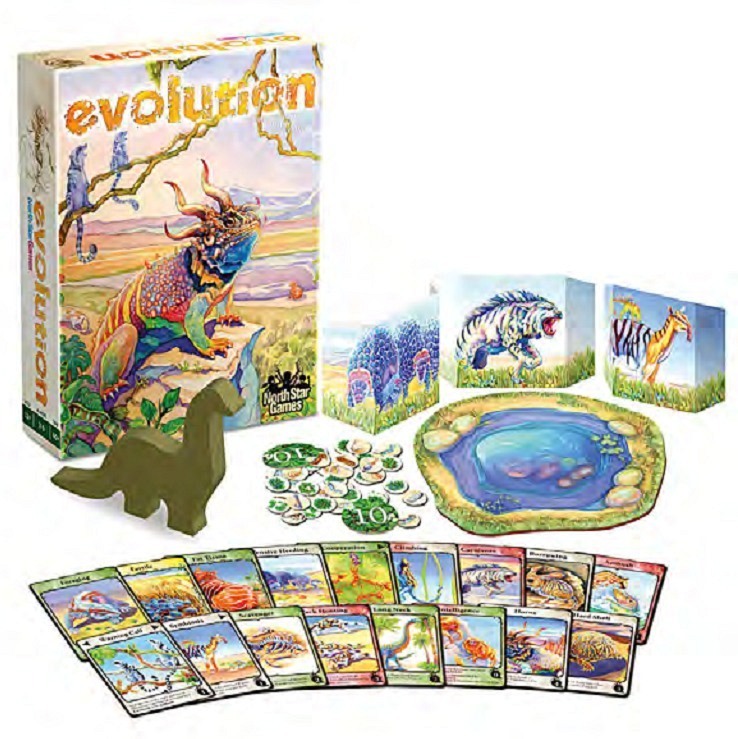 And in much the same way, Evolution is a game about giving. As each round progresses you ‘gift’ your species with new traits that will help them survive. But be careful: you can only afford to give so much, so be sure not to spread your efforts too thin by having too many frien- er, species! Dom Lafford Betrayal at House on the Hill: Nothing says “Merry Christmas!” like turning into a werewolf and eating Grandma. @ctrattackgame Machi Koro, so long as you have four or five players. 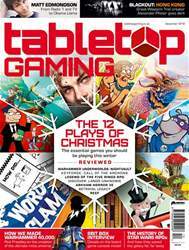 There was a time when the very suggestion of a family board game at Christmas time would fill me with consternation. One year, a “girls against boys” bout of Pictionary at my Auntie Barbara’s almost ended in a full-on fistfight. That was the last time I ever played a board game with my side of the family at Christmas, and that was around 20 years ago. 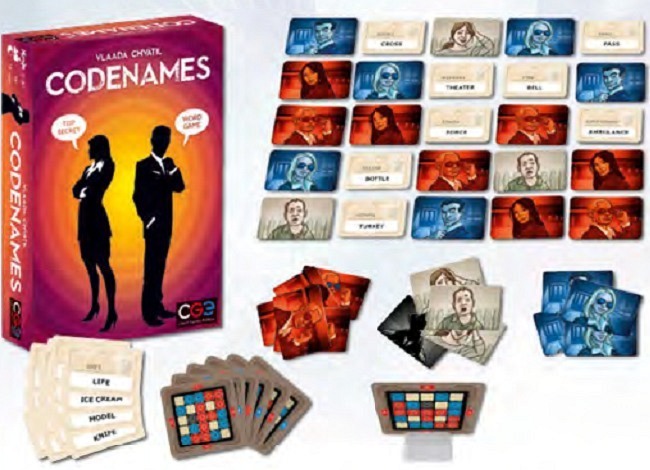 Then, a couple of years back, I suggested a Christmas Eve game of Codenames. Having recently acquired Vlaada Chvátil’s hit party game, I felt its deft blend of espionage theme, engaging team-play and word-association dynamic might – might – just get everyone around the same gaming table; something I’d never witnessed in all my years of marriage. Surprisingly, they were all up for it – even my mother-in-law who’d once cheerily told me she hates board games.